There are hundreds of indicators the World Bank uses to measure economic robustness. Of those, they are pretty much broken down into three areas. Simply, economics measures what people do with their land, their technology, and their people. Invest into small Black American businesses, and the macro-economic impact and return on your investment will arguably be greater than investments into other businesses. We review the impact that civil unrest has on municipal homicide rates, and how investments into Black owned businesses reduce the degree to which homicide rises after civil unrest. United States Congress may be getting serious about closing wealth disparities that exist by race and ethnicity. 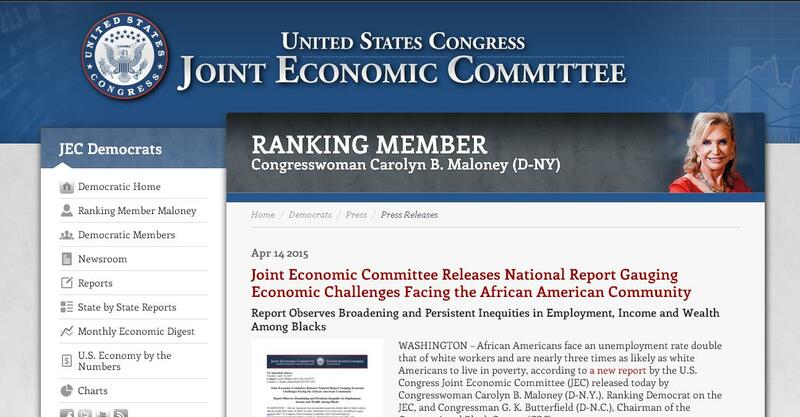 Ranking Member Congresswoman Carolyn Maloney published a startling national report on the economic challenges that Black Americans still face, even more than a century after slavery (unpaid labor) was made illegal. And there’s good reasons for why this is an area worth studying. Household net worth has impacts on other key metrics for economic vitality, such as health and access to education. Virginia Commonwealth University and the Urban Institute recently published a report show how wealth is linked directly to lifespan. The 700%+ gaping disparity in net worth that exists by race, is correlated proportionately with a 5% differential in median lifespan between black and white Americans. pH14 Investment Plan is working collaboratively with the Association of Black Health Professionals to address these issues. What if governments – local, county, state and federal – realized that the exclusionary practices that are commonplace in America are as much responsible for the deaths of Freddie Gray… and Michael Brown…and Walter Scott..and Eric Garner as any encounter with police misconduct? The refusal of policy-makers to make the connection between the discriminatory spending of public dollars and its failure to impact ALL of their constituents is as deadly as any choke hold or bullet. Ron Busby, Sr. Indeed, Ron is correct. He’s pointing directly to the correlation between the discriminant strangling of economic opportunity from Black Americans, and the violence and civil unrest that results from it. 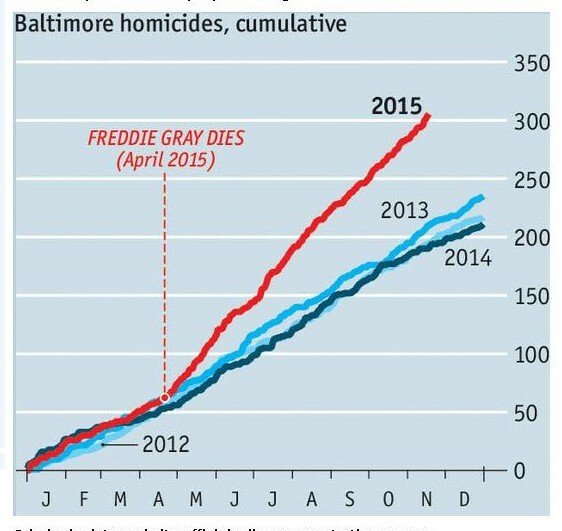 Take note that after Freddy Gray died in April 2015, the rate at which homicides took place in Baltimore INCREASED – slope became markedly more steep. Could greater investment into Black owned business have flattened this curve in Baltimore and other cities across the country? Absolutely. One might reasonably deduce that the proportion to which economic opportunity is withheld from qualified Black vendors and business owners who disproportionately hire from unprivileged communities, the more likely crime and civil unrest will take place. Racial injustices will continue happening. Therefore, A government’s decision to INVEST into small Black owned businesses in effect becomes an insurance policy against civil unrest – wherein the value is truly actualized and redeemed WHEN racial injustice inevitably happens. 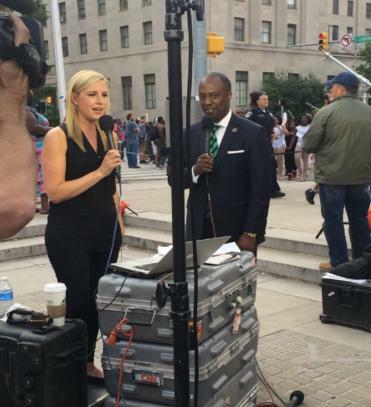 If Black owned businesses in America employ more Black men, then WHEN the civil unrest erupts due to the perception of racial injustice, the criminal activity that would ensue in cities like Baltimore and Chicago would never actually happen, as those criminals would be employed. Simply said, working people commit fewer crimes. While an insurance policy, the decision to invest into small Black owned businesses is prominently a PREVENTATIVE measure, that might be used to reduce the likelihood that people decide to turn to a life of crime, and resultantly have fewer run-ins with law enforcement officers. pH14 Plan presents investment education across multiple markets. Members were alerted in early 2015 how to profit from the emerging markets sector meltdown, that resulted in 100% returns in 9 months. Members were alerted more than a year ago about the natural gas breakdown, and specifically were instructed how to place trades that resulted in 200% returns in 12 months. Members were promptly alerted in 2011 as to the DC housing boom, that enabled some members to achieve 500% to 1000% returns in 5 years. While through pH14 Plan I review and publish on publicly traded assets, on a consultation basis, we privately identify, assess, and analyze investment opportunities into private businesses.